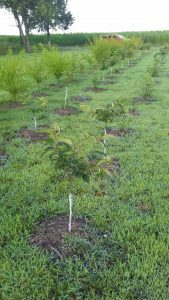 In my Tree Nursery I have 20 Persimmon Trees, 20 Wild Plum Trees that are ready to go. The Wild Plums are about 5 feet tall, the Persimmons are 3 feet or so. The Wild Plum is a small thicket-forming tree and is one of the first trees to bloom in the spring. The Wild Plum produces a bright-red edible fruit which provides excellent food and cover for deer and other Wildlife. The Persimmon is a small to medium tree which produces fruit loved by deer ( and some people too ) the male & female flowers are borne on different trees so several trees need to be planted together. The Persimmon & Wild Plum are for Wildlife enhancement by providing food & cover. 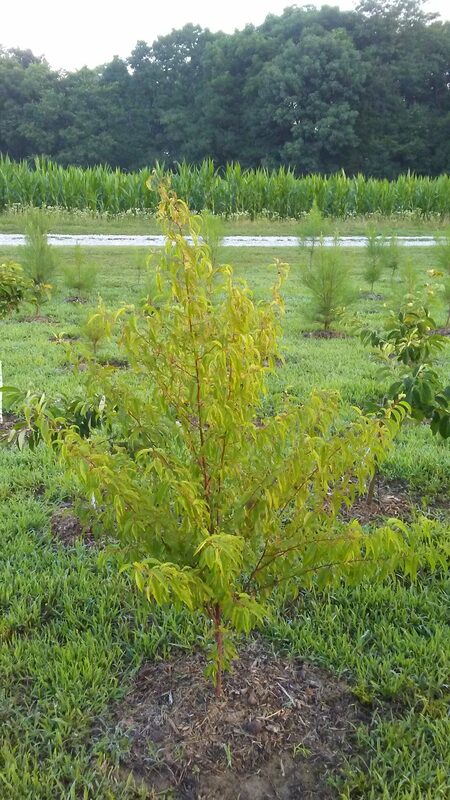 Also in the Tree Nursery I have 25 Swamp White Oak which is a fairly-fast growing tree that may reach a dia. of 3 feet. 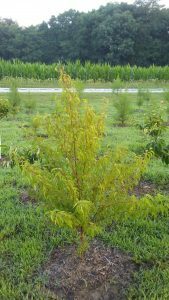 Grows well in all types of sites. Despite its name this species does not grow in swamps. The acorns are one of the favored fall foods for deer and turkey. These trees are smaller and will be easy to transplant this fall for oak tree reforestation. 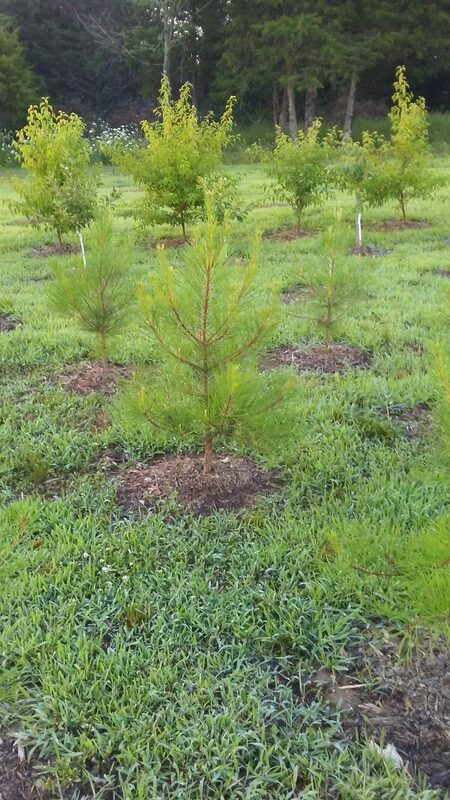 I also have 35 Loblolly Pine which is a fast growing pine that grows well in poor, dry upland and rich bottomland soils. The best Pine to grow north of the Missouri river. Similar in appearance of Shortleaf Pine with bigger cones. 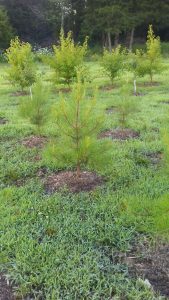 These are nice size, healthy trees about 4 feet tall which would be really nice in the lawn or any where you want beautiful Pines. If interested give me a call and we can talk about you getting trees. 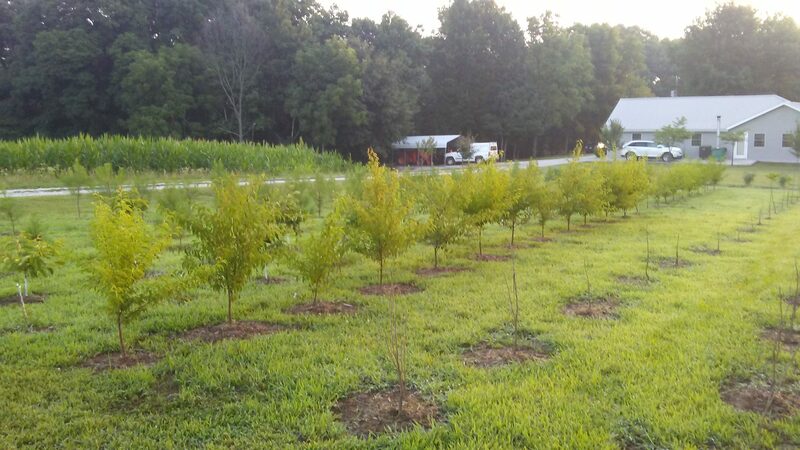 This Trees will be ready for planting this fall !